Mozilla has announced that its browser Firefox will start to display ads in form of “tiles” on the New Tab homepage. As of now the ads will only be shown on the desktop version of Firefox but it is expected to soon come to the mobile version of Android and their own OS Firefox. As far as quality of ads Mozilla ensures us that the partners that will be allowed to place ads in one of the tiles will be hand picked and won’t come in banner form ads, instead they will just show like another web page but with the “promoted content” label. I loved Firefox and have been using it for years. Before that, Netscape/Mozilla. But now, I’m having to switch to Safari to escape the horrible pane of past visited sites a new Firefox tab throws up. Firefox on my work PC does this (which I hate) but my Mac as home has not until this new version. I miss Firefox already. Safari is slow and clumsy in comparison. I now get ads in Youtube even with Adblock Plus, where Firefox never let them through. I would be willing to pay for a traditional version of Firefox that worked liked previous versions. 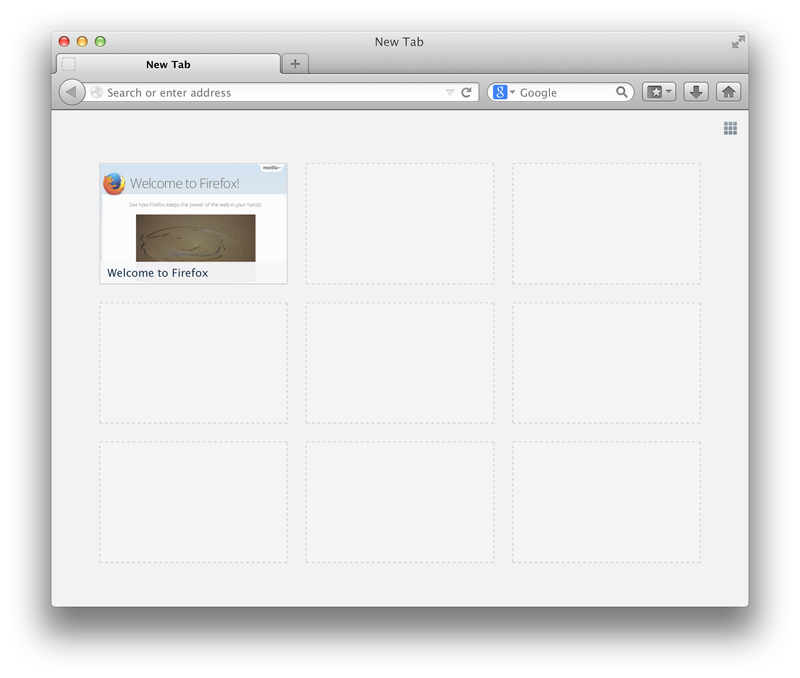 I’d switch back to Firefox in a heartbeat if I could figure out a way of suppressing the new tab full of crap. You see, the button on the top right of the page, called “Hide new tab page” magically changes it to a blank page. No ads, no images, no suggestions, just blank. You don’t even need an extension for it.